Tax season has officially ended, so you’ve surely gotten everything turned in to be processed! Did you do your taxes correctly? Little mistakes happen all the time, so that does not necessarily mean that the IRS is going to be sending you threatening letters or showing up at your door anytime soon. However, it is much wiser to be safe than sorry. Unless you are well-accustomed to doing your taxes professionally, you might have made some mistakes when it comes to filing your return. 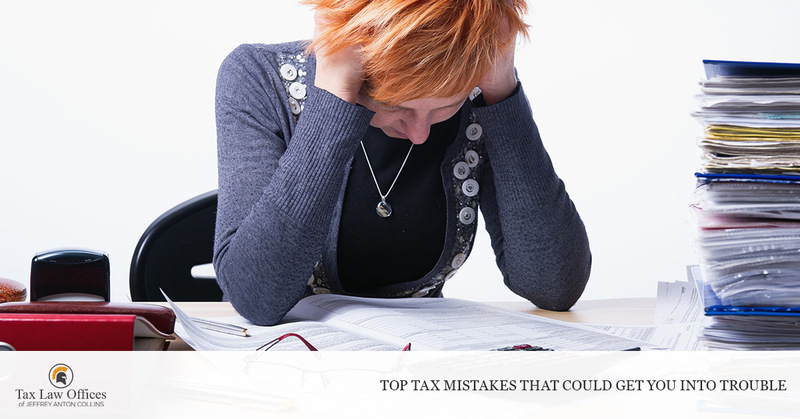 Here are the top errors you might have made that will make the IRS look twice at the taxes you paid for the year. Forgetting some small part of the form can lead to major delays when it comes to getting your taxes processed. It can be easy to miss the smaller sections of your forms where it calls for even the most vital information – such as your Social Security number – so be sure to double check each part of your form before you submit it entirely. A small oversight, like writing down your deductions on the wrong line, could mean that the IRS will demand a further investigation. This can be especially troublesome if it turns out that you owe the government and have documented your income in such a way that makes it look as though you should receive a return. Unfortunately, this can be perceived as tax fraud and can leave you in quite a bit of trouble. If this happens to you, make sure to contact an IRS tax attorney who can help you. The good news is, small miscalculations can usually be corrected. However, it’s still in your best interests to double check every figure before you officially submit all your documents. Accidentally adding instead of subtracting may seem innocent enough, but it could change your liability. Also, accidentally miscalculating your total income can lead to IRS investigations you don’t want to deal with. Tax software is a great option for anyone who is concerned about making a major mistake. The good news is, most tax auditors can tell a mistake from tax fraud and should be able to correct any minor issues. This is where doing your taxes through a company or online software is the most helpful. These people and programs can ask you the right questions about the previous year – did you pay student loans? Do you have any IRA deductions? Once they know the answers to these types of questions, they can provide you with the right type of form. If you are choosing to do your taxes yourself, it’s important to know exactly which type of form you need. Some ask for information on these extra payments you may have made during the year while others do not prompt you to give that information. If you need to account for these things, make sure your form allows it! Deduction rules can vary, and they can just as easily be misunderstood. Check the rules for each deduction before claiming it in order to avoid looking like you are making up deductions just for some extra cash. In case you are unsure of what counts as a tax deduction and what does not, read the rules thoroughly. If you are still unsure, hire a professional to help you sort through potential deductions. If you think that you have certain income that doesn’t need to be filed during tax time, then you need to think again. Even projects and side jobs that earn you only a couple hundred dollars should still be reported as income, even if it isn’t enough to require you to pay self-employment taxes. This includes any money that you may have made overseas. It’s a common misconception that this money does not need to be reported, but it certainly does. If you neglect to report this income, it could have the IRS contacting you and handing you a harsh penalty because of it. If you are concerned about the IRS and their penalties, it’s time to contact the professionals to help. The IRS does not consider accidental mistakes to be fraud, so don’t panic. Before the IRS can charge you with a crime, they need to make a case for intention. However, even if you are not penalized by the IRS, mistakes in your taxes can lead to a smaller refund than you deserve and even a fine. You might even be put on the radar for future tax issues by the IRS. When you are in need of tax help, contact us. The IRS tax attorneys at Tax Law Offices are here to help you. Call now to learn more!